At Wise, printing on direct thermal papers enables businesses in numerous vertical markets to communicate in applications where efficiency, reliability, economics and appearance are critical. 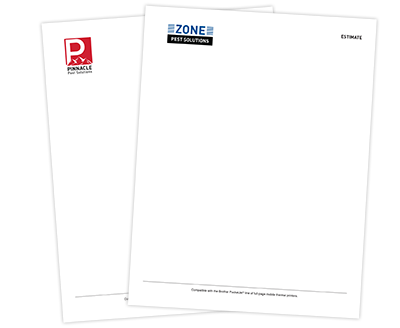 Printed with special UV inks and cured with UV dryers allows for quality image reproduction on pre-printed documents. Direct thermal imaging technology uses a document media which contains the “ink” in a colorless form as a coating on the surface. Heat generated in the tiny printhead element transfers to the media and activates the ink to develop color. Direct thermal imaging uses a single consumable.